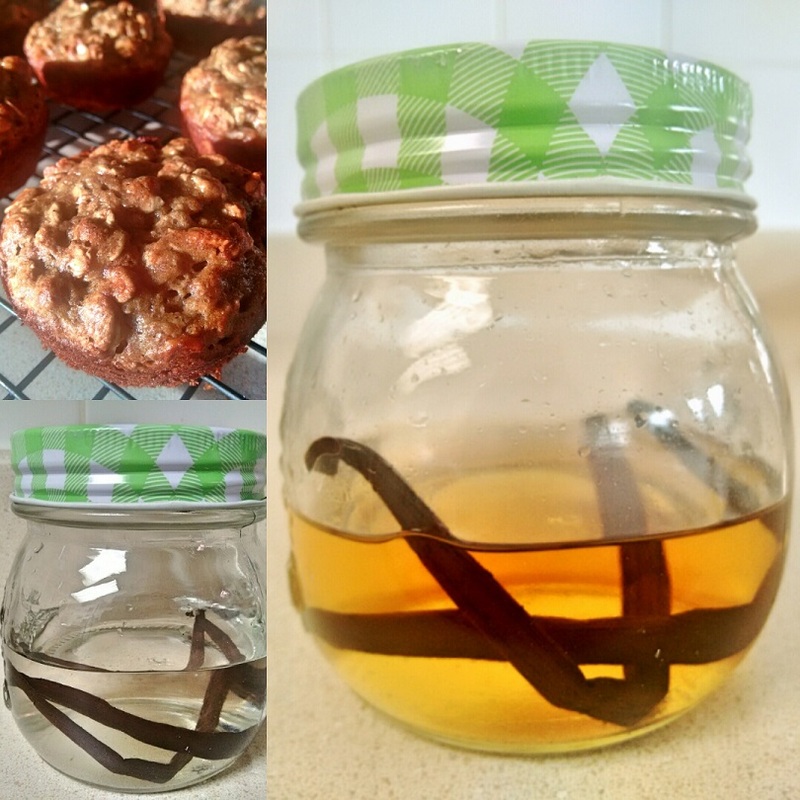 I recently read a post from smittenkitchen.com on how to make your own vanilla extract. I decided to give it a try, so I ventured into Ottawa's new Whole Foods Market, which was an experience. I learned that I am far too cheap ("frugal," says Simon) for Whole Foods, and that I am far too cheap to buy as many vanilla beans as the smittenkitchen.com recipe uses. Since I cheaped out, I only bought two vanilla beans, because they came in a glass vile of two for $8.00. I thought I'd try this out first before I buy any more than that. The bad news? My vanilla extract has a not-so-pleasant colour. The good news? It smells and tastes great anyway! So the moral of the story is: You can totally cheap out on this and still make it yourself. I had both vodka and white rum in the cupboard, and since I wasn't sure how this would turn out, I decided to use white rum for my extract. That way, if it didn't taste vanilla-y enough, rum is a common enough baked goods ingredient that I figured I could get away with it. You can use either, but I was really happy with how the rum turned out. I purchased these little jars from Dollarama. The jar must be kept in a cool, dark place. I stored it at the back of a cupboard and waited six weeks before I used it in my baking. The muffin in the photo is the Banana Oat Pumpkin Seed Butter Muffin recipe that I used it in this past weekend. I'm looking foward to using this extract in my upcoming Christmas baking! Place vanilla beans in mason jar. Pour rum (or vodka) over top and seal. Store in a cool, dark place for 4-6 weeks before using. So easy! If you try it out, let me know how it goes!